In the past year or so, it seemed like chunky sneakers were back for good. From fashion to fitness, the thick and almost orthopedic throwback kicks were everywhere, whether you like them or not. But now another throwback sneaker trend is making a comeback that's the complete opposite of chunky sneakers: the Nike Free. When Nike Free launched in 2004, it was considered a "radical idea," because it encouraged an almost barefoot experience that was vastly different from the stiff running shoes of the 90s, says Ernest Kim, director of advanced footwear for Nike Running. Since then, the Nike Free sole, which has slits in it for flexibility, as well as the innovative material and design, changed the way Nike looked at running shoes. "That kind of gave us the confidence that we should bring Free back," Kim says. "It really gets back to that original insight of enabling you to move the way your body wants to move." 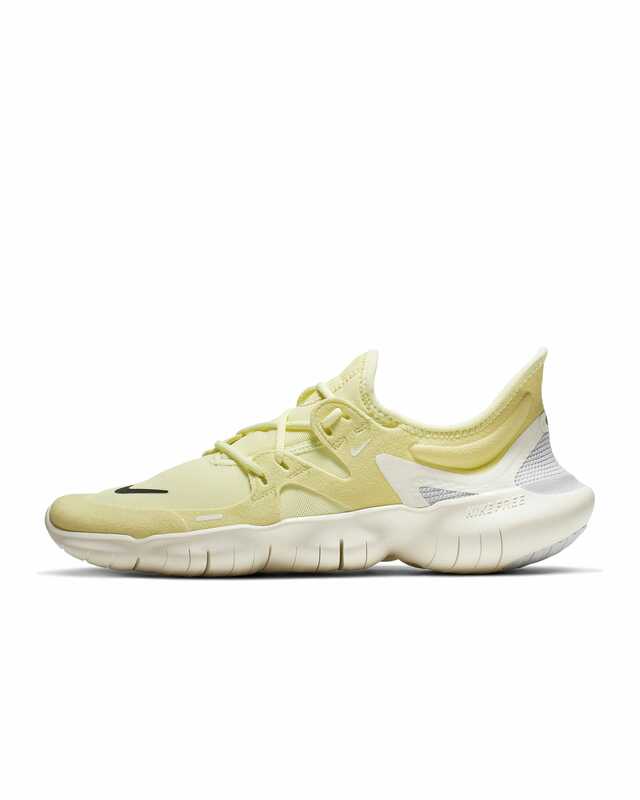 The latest iteration of Nike Free, which launched last week, is 26% more flexible and 2 millimeters lower to ground than the 2018 Nike Free, and it's designed to look like the very first version. Since the sole is flatter and lower, it provides a barefoot, second-skin feeling that might be strange at first. At certain points in the sole where the foot naturally bends, Nike placed "sipes" or slits at varying depths to allow the foot to move as close to its natural range of motion as possible. On the foot, the Nike Free 5.0 feels unusual, but comfortable. You can feel the varied texture of the sole when they're on your feet, but the shoe is so light and sock-like that my feet felt unprotected. After walking around in the shoes for about five days (which Nike recommends to get used to them), I wore the shoes for my usual three-mile treadmill run and strength-train routine. I usually prefer super-cushioned supportive running sneakers, like the Brooks Glycerin or the Asics Gel Kayano, especially if I'm running a longer distance. But on days when I add strength-training to my running routine, I'll wear a running shoe that's less-cushioned, like the Asics Roadhawk FF2, to allow me to feel the floor in lifts. Given my workouts and preferences, I thought the Nike Free would actually be a smart choice for me. In the Nike Free 5.0, I could really feel all edges of my feet on the floor at all times. This made balancing in standing static exercises, like a split lunge or a single-leg deadlift, feel like less of a challenge. Sometimes, I find myself inadvertently gripping the bottom of my feet in the middle of a challenging exercise, but the Frees allowed my feet to relax and give into the floor. It's also easy to articulate through your foot in jumping exercises, like a skater lunge or plank jack, although the foam is not very springy. Running was kind of a trip in the Nike Free 5.0; I'm not used to having so little material on a shoe. Because of that, I was hyper-aware of my questionable running form, and worried that I was pounding my heels a little too hard into the surface of the treadmill. By the end, I craved my so-cushioned-they're-basically-a-mattress sneaks. According to Kim, there's a common misconception that running shoes should fix the way that you move. While a small percentage of people might need a corrective "intervention" from their running shoes, most people benefit from being able to move more naturally — even those who over pronate or supinate, he says. "We've found you're going to benefit from being able to move the way your body must move, even if its outside of the norm," he says. In recent studies, researchers haven't been able to prove that minimal running shoes help people find a more natural gait or prevent injuries. But it's important to note that the Nike Free 5.0 isn't meant for every workout. It's ultimately a matter of preference, but Kim says many elite athletes will use the Nike Free as a shoe for warmups and cool-downs, as well as gym strength-training workouts. "That's great too, because that's enabling their feet to work through that wide range of motion at least part of the day, and then they do their running in shoes meant to help them be faster," he says. Others might use them for everyday running shoes. And some people might not like the Frees at all. "It's okay if Free isn't for everybody," Kim says. Some people might find that they like the softness underneath the foot, while others might have a toe that doesn't move very well, so it won't feel the same way, says Blaise Williams, senior researcher for sports performance insights in the Nike Sports Research Lab. In order to ease people into the Nike Free 5.0 sensation, Nike created a training protocol to use along with the shoes, which was something that they did when the shoe first launched in 2004. The recommendation is essentially to start slow, and as you feel more comfortable and confident on short runs, see if it makes sense to take it up, says Jennifer Bishop, director of applied product connection in the Nike Sports Research Lab. "Even if all you do is walk around in it, that's okay," Kim says. "We really do believe in the benefits of natural motion for everyone even if that means all you're doing is walking." So, should you get these shoes? At just $100 a pair, the Nike Free 5.0 are more affordable than comparable top-tier sneakers, but they should only be used for specific workouts. If you run more than three miles during a usual workout, or if you prefer a lot of support, these might not be the best option for you. 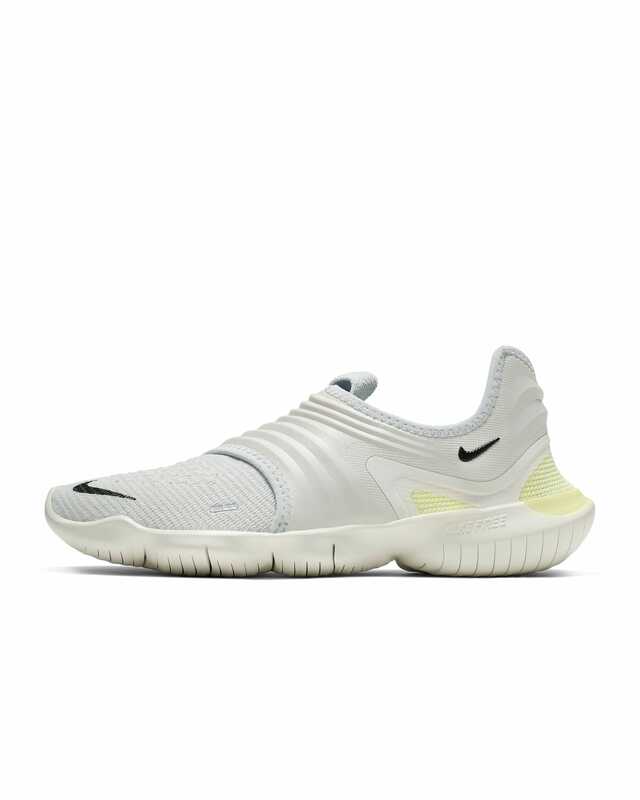 But if you want a comfortable, flexible, lightweight shoe for strength-training, HIIT, an occasional short run, or even dance cardio, you might like the barely-there feeling of the Nike Free 5.0. *Nike provided Refinery29 with the product for testing purposes.